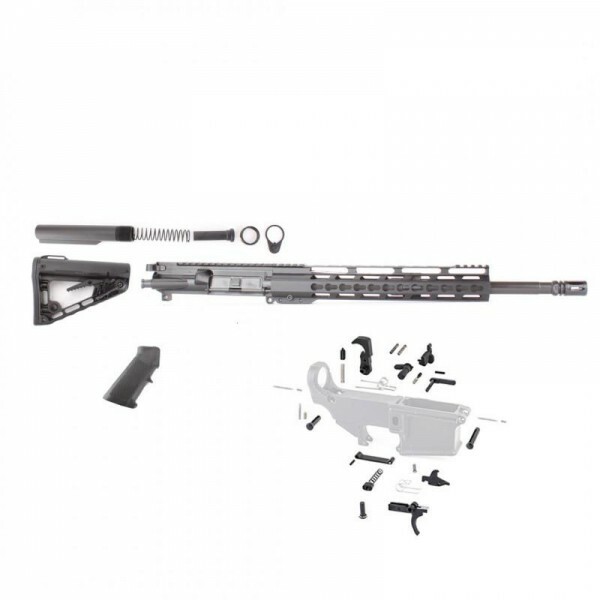 AR-15 6.5 Grendel 18" premium tactical rifle kit with Roger Stock contains all components except 80% lower to complete your AR-15 long range build. The kit comes WITHOUT 80% lower receiver. All options and modifications to your kit are available on top of this page. All components are Mil Spec and made in the USA. AR-15 Mil Spec Lower Parts Kit: Standard AR15 lower components. Includes everything you need to turn your stripped lower into a complete lower. Please Note: Comes unassembled. Kit does not include sights or magazines. Standard kit fits perfectly any style AR-15 mil spec lower. This kit is not an FFL item because some machining is still required on 80% Stripped Lower Receiver. Tags Grendel Rifle Kit, 6.5 Grendel, AR-15 Grendel Rifle Kit - 18"